Properties- available properties are highlighted in yellow. Please select (click) properties that you would like more information about. You will be redirected to Washington County's SDG - Image Mate Online website. On your first access you will need to Click on the button for public access. Close out the window then select your property again. You should not have to select the public access button again, until you open a new browser session. 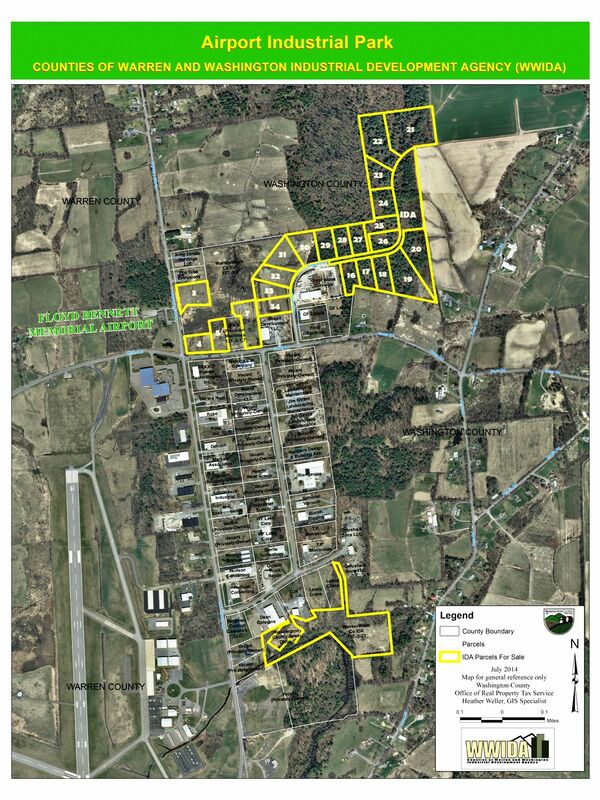 For more information on any available property or the Airport Industrial Park, please contact Warren-Washington Counties IDA, (518) 792-1312. Download /view / print map (421kb 8.5x11in), by clicking here. You will need the Adobe (TM) Acrobat Reader to view these (.pdf) documents.